How do I know which antivirus is the best? Question of the week: How do I know which antivirus is the best for my computer? I mostly use it for staying in touch with my friends, doing schoolwork and watching videos. Is your free product good enough to protect me? We receive questions like yours on our Facebook page frequently. We understand how difficult choosing which security product is right for you when the technology is unfamiliar and the marketing messages are similar. That’s where independent testing labs like AV-Comparatives can help. A few times a year, these experts set up a “real-world’ test in their lab where they test dozens of antivirus products on identical computers. avast! 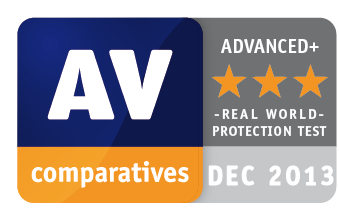 Free Antivirus was the only free product to receive AV-Comparatives highest award in the ADVANCED Plus category because of exemplary results in protecting against malicious samples with a small incidence of false positives (wrongly blocking domains or files). The other Advanced Plus recipients were paid-for products (that shows how good avast! Free Antivirus is! ;-)). For this "real-world" test, AV-Comparatives, together with the University of Innsbruck’s Computer Science department, set up identical Dell computers with Windows 7, Office, Adobe Reader, Flash, Java, QuickTime, Firefox, and a constant internet connection - basically, like most of us have at home. Twenty-two products, of which only two were free, including avast! Free Antivirus, were tested. As you can see from the award, avast! Free Antivirus held it's own, so yes, this product is more than good enough to protect your computer. Notable among the test results is Microsoft Security Essentials, which placed last. AV-Comparatives only used it as a basis of comparison, because Microsoft withdrew it from testing this year. This product provides only basic malware protection and has been the source of much conversation since earlier this year when Microsoft advised Windows users to use a third-party antivirus instead of counting on MSE. Since then they have changed their statement. Nevertheless, MSE’s scores in malware detection have continued to slide. No matter which antivirus product you decide to go with, make sure you keep it up-to-date, as well as keeping the software and apps on your machines updated. We hope you will choose avast! Free Antivirus or one of our premium products. You can see a comparison of all the choices on our website. If you want to see how avast! stacks up against others, then check out the avast! comparison tool on our Facebook page.